For those looking for a value mattress and want the quality of Serta®, consider the Sertapedic® mattress collection. This collection contains the features you need for a restful night’s sleep – a system of individually wrapped coils for body support, and layers of proprietary Serta® foams that work together to provide comfort, temperature control and body conformity. 711 Custom Support™ Firm Coil System -- You can count on exceptional body support from hundreds of individually wrapped coils that reduce motion transfer between partners as they sleep. 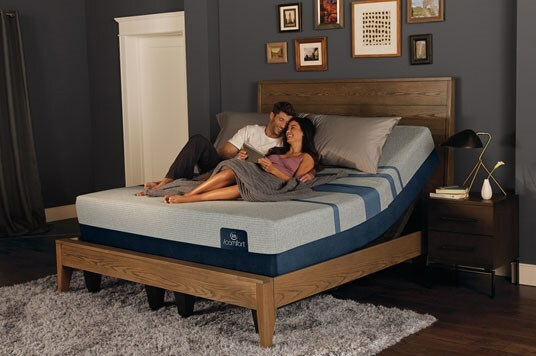 Serta® Support & Comfort Foams -- Multiple foam layers work together to provide the back support that you need, and the added comfort and body conformity that your body desires. Cool Twist™ Gel Foam -- Pressure point relief to reduce tossing and turning and the moving of heat away from your body are provided by our exclusive liquid gel-enhanced foam. Best Edge® Foam Encasement -- To extend the sleep surface and potential edge “roll off”, our advance encasement design contains a steel border encased by foam. 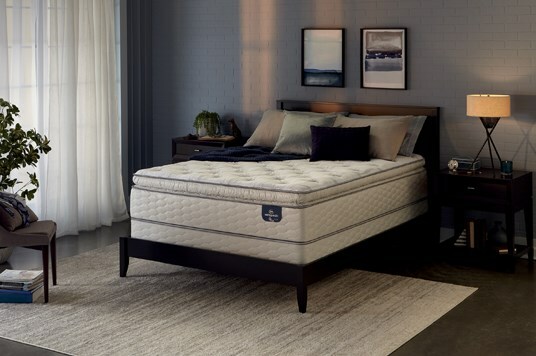 The Serta Perfect Sleeper was engineered based on input from the National Sleep Foundation and was built to provide these solutions for 5 common sleep problems: pressure relieving comfort, proper back support, balanced sleeping temperature, undisturbed sleep and roll-off/sag protection. 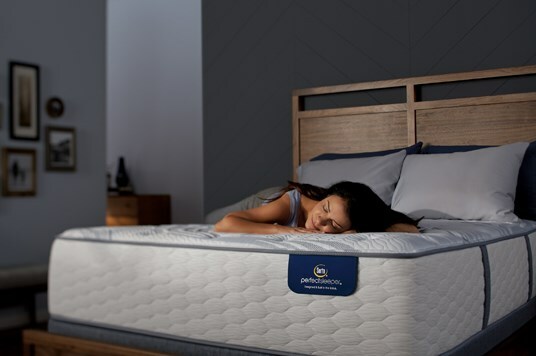 It has earned their Official Mattress designation, as well as a Best Buy rating from Consumers Digest. Serta’s exclusive Cool Twist™ Gel Memory Foam helps maintain a balanced sleeping temperature, by moving heat away from your body; while also providing enhanced pressure relieving comfort. 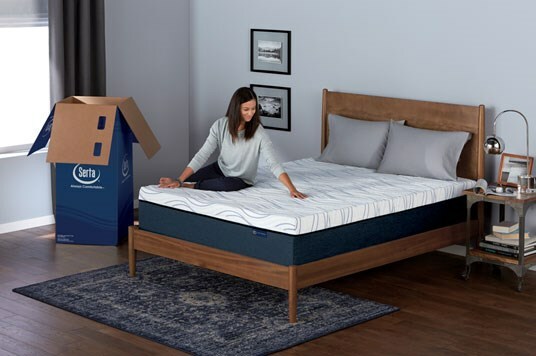 For proper back support and undisturbed sleep; the Serta Perfect Sleeper uses hundreds of single and double rows of individually wrapped coils that prevent motion transfer from your sleeping partner. 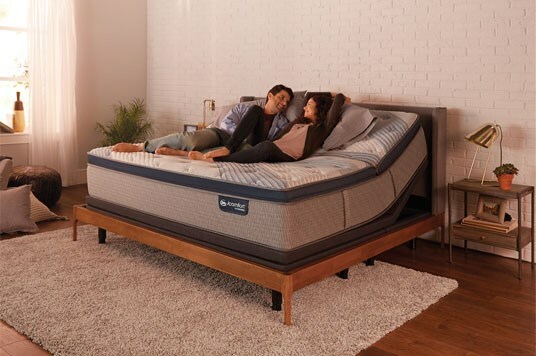 To prevent roll-off and mattress sagging, the Serta Perfect Sleeper provides BestEdge® Foam Encasement to surround all coils and provide an edge-to-edge sleep surface. Serta has released its most advanced sleep system ever with the All-New iComfort®. Redesigned from the inside out, the new iComfort® Sleep System responds to your individual needs for support, comfort and temperature regulation. Now, all advanced memory foams used in iComfort® mattresses are enhanced with Serta’s EverTemp™ Technology. It helps these materials remain comfortable regardless of temperature or humidity. 97% of owners are satisfied with the benefits that iComfort mattress features offer. EverFeel® Triple Effects™ Gel Memory Foam (Select Models) – Advanced material that is infused with millions of Titanium gel beads that relieve pressure points for comfort, provide added support and aid in temperature regulation while you sleep. EverCool® Plus Memory Foam (Select Models) – additional heat dissipation is provided by a later of gently cradling cushion memory foam. Cool Action™ Gel Memory Foam (Select Models) – Millions of MicroSupport® gel beads offer heat dissipation, targeted support and pressure relief. TempActiv™ Max Gel Memory Foam (Select Models) - This foam has a comfortably cool feeling to the touch, then actively manages to the right temperature by absorbing and dissipating heat away from your body throughout the night. TempActiv™ Gel Memory Foam (Select Models) - Millions of gel beads gather under the areas of your body that need extra support while also helping the mattress to capture, store and ultimately dissipate heat away from the sleep surface. TempActiv™ Touch Fabric (Select Models) - An additional layer of TempActiv™ technology is infused directly into our luxuriously soft, flexible, and breathable fabric to provide a greater initial cooling sensation and extra level of temperature regulation while you sleep. Air Suspension™ Technology (Select Models) - This unique support layer perfectly balances extreme airflow with deep down support to give you a unique cushioning, floating feeling. ActiveBalance™ Support Foam (Select Models) - A gel-infused foam that has a uniquely engineered and designed surface which allows for enhanced airflow to help dissipate heat while providing conforming, responsive, luxurious body support. SmartSupport® Memory Coil System (Select Models) - Compact layer of hundreds of individually wrapped, slow recovery coils that work that continuously adapt to the contours of your body. Ultimate Edge® Foam Support Core – Overall body support is provided by the durable advanced foam system that prevents “roll-off” by strengthening the mattress edges. Serta’s iComfort Hybrid Blue Fusion mattresses combine our latest breakthrough in memory foam technology with our most advanced innerspring support systems. Our exclusive TempActiv™ Technology Memory Foam helps relieve pressure points for increased comfort, provide added body support and aid in temperature regulation during sleep. Our Hybrid Coil™ system with BestEdge® Foam Encasement provides comfort and support across the entire mattress. Comfortable Cooling - our new iComfort memory foam with TempActiv™ Technology is designed to help you find the right sleeping temperature for you. Entire Body Support - Our premium memory foams balance cushioning and support along your body length. The Serta® Hybrid Coil™ support system provides exceptional comfort, support and durability. Now, you can get Serta comfort and quality conveniently packaged to go! Our new Mattress-in-a-box models are designed with a unique set of features to help solve 5 common sleep problems. This includes our Premium Gel Memory Foam for cooling and supportive comfort and an ultra-cooling plush cover.